Good Morning! I am off to work again today and counting down the days until I start my vacation. I am off work next weekend and we have some projects to do around the house but for the most part, we will be just sticking close to home and relaxing. 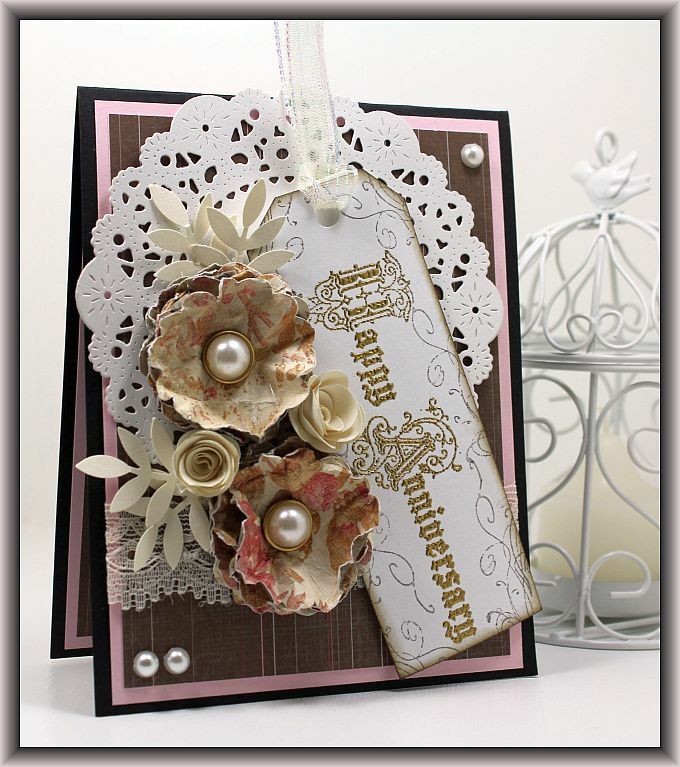 I have another card to share with you this morning with some hand made flowers…. The two large flowers are made with my scalloped circle punch and the little ones with a rolled flower die. They are very simple flowers to make and they always turn out lovely. I heat embossed the sentiment using gold embossing powder. I am off to get ready for work! I hope you have a great day! Your card is so pretty. How cool that you made the big flowers with a scallop circle punch! Very creative – Thanks for sharing!